Nolinor Aviation of Mirabel, Québec, is investing in a new technology program to upgrade the avionics systems in its fleet of 10 Boeing 737-200 aircraft, which includes what the company describes as a world-first integration. The equipment modernization, explains Nolinor, will increase system reliability and minimize delays due to electromechanical and analogue equipment failures. This new technology, continues Nolinor, will maximize the availability of these aircraft for last-minute trips, including flights in much more limited airspace, while also reducng the amount of time required for maintenance troubleshooting because of updated self-diagnostic capacity of the on-board systems. Nolinor expects this modernization process to take five to six years, for a total investment of $10 million. These modernization efforts have already been undertaken on the aircraft with registration marks C-GTUK, for an initial investment of over $1 million. Nolinor explains this project will ensure that its fleet complies with U.S. regulations for this type of aircraft, which will soon come into effect in Canada as well. 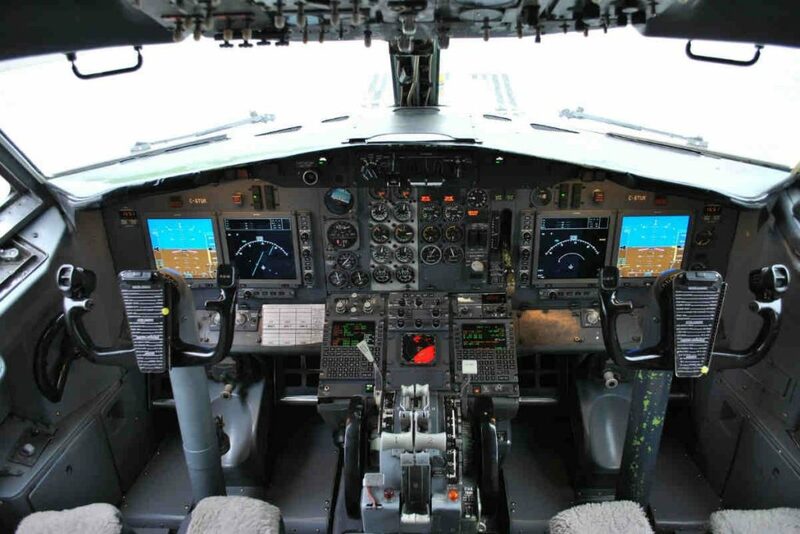 Nolinor states, that for the first time ever on a B737-200, all electromechanical navigational and flight instruments will be replaced with four active matrix LCD colour screens with LED blacklighting (Universal Avionics EFI 890R). These will be coupled with two solid-state inertial navigation systems (Honeywell Laseref V) and two LPV flight management systems (Universal UNS-1Lw). In addition, the transponder system will be upgraded to meet ADS-B OUT requirements. The replacement of all gyroscope components, explains Nolinor, will streamline the system architecture by eliminating a number of digital/analogue interfaces and increase the stability of navigational instruments in remote areas. As well, improvements to the on-board navigation systems will increase the flexibility of operations in monitored areas. “This investment shows that we are committed to technological advancement and safety so that we can offer our clients the best possible service,” said Jacques Prud'homme, President of Nolinor Aviation. This first step toward the modernization of Nolinor's fleet avionics will help with the company's continuing operations in both the Arctic and large urban areas. Founded in 1992, Nolinor is a private air transportation company, owned by the Prud'homme family trust, specializing in commercial charter flights, with the flexiblity to transport passengers, cargo or both. Nolinor offers air services across Canada and the United States, and to many other destinations around the world. Today, Nolinor employs a workforce of 265 in six Canadian provinces.